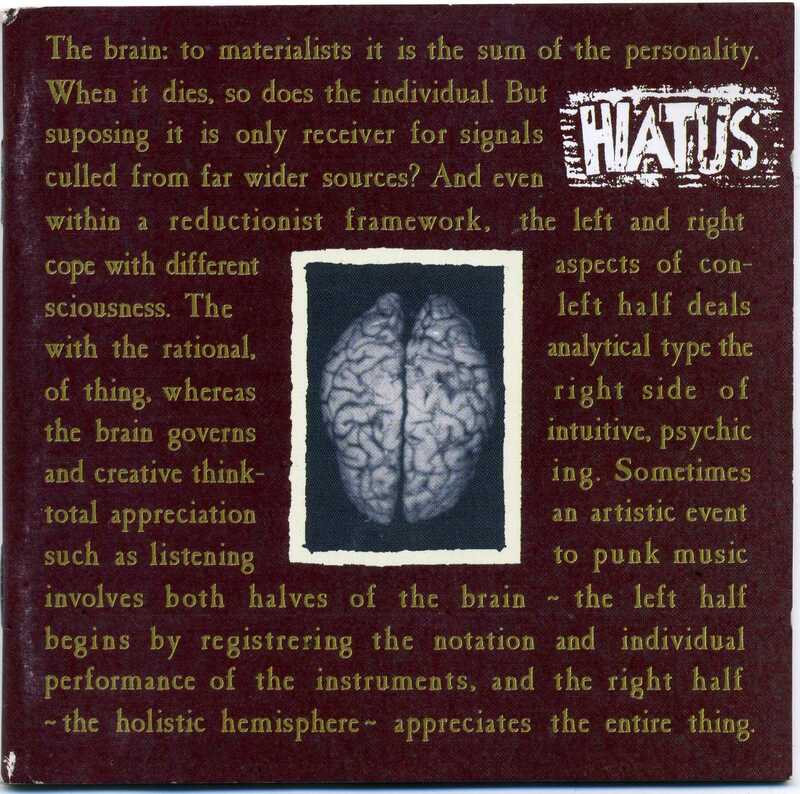 Extraordinary Hiatus released this amazing cd via Nabate in 1999.Their last production is the cd version of the last two albums "El Sueno De La Razon Produce Monstruos" previously released by Nabate in 1995 and the 12 inch "The Brain" out on the german Skuld Releases in 1996 plus three unreleased practice-tracks and one live song. It also contains two unreleased tracks and comes with a booklet of 32 pages with lyrics, artworks, a bonanza of DIY flyers & posters and a very funny tour report. 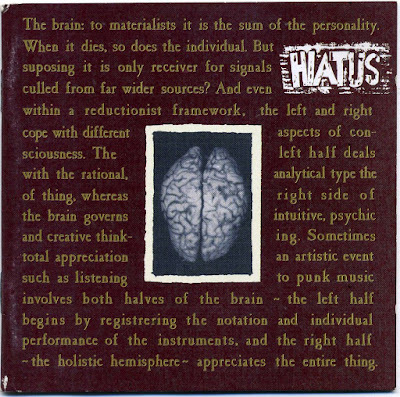 recorded in Slovenia in 1996.For all the crust punk lovers around the world,this cd is a masterpiece. Best Crust Punk Band Ever.